Located in Cook County, IL, Park Ridge is a part of the Chicago metro area and is just 15 miles northwest of the city. With a population of over 37,000, Park Ridge is a thriving community. The town underwent a major redevelopment in recent years and the downtown area, referred to as Uptown, is thriving with plenty of shops, restaurants, and a Metra station that provides easy access to downtown Chicago. Park Ridge retains a small town feel and offers a sense of community, which is why it’s such a popular choice among both small business owners and families. The city of Park Ridge holds a variety of community events each year, including The Taste of Park Ridge, Concerts in the Park, and the weekly Farmers Market in the summer. Rustic Elements Furniture is a Park Ridge custom furniture shop that specializes in custom wood tables. 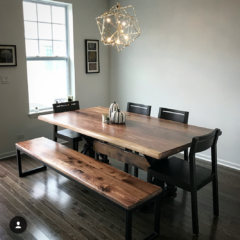 Although our showroom is located in Joliet, we’ve been building handcrafted wood furniture for customers in the Park Ridge and Chicago metro area for years. We build a wide variety of custom wood furniture – from media centers and buffets to island tops. If you can dream it up, we can most likely build it! At Rustic Elements, we pride ourselves on bringing your ideas to life. That’s why all the furniture we build is completely custom. You choose the size, color, style, and type of wood and we make it happen! All of our furniture is built using the highest quality materials available – from the hardest woods to the best commercial grade finish available. Because of that, our tables are scratch and dent resistant. They also won’t be damaged by common household spills, such as bleach, cleaning products, nail polish or wine. If you’re interested in seeing our furniture in person, stop by our Joliet showroom and speak with our owner, Scott. And, if you don’t have time to wait for a custom piece of furniture to be built, explore our current inventory to see the pieces we have available for immediate purchase. 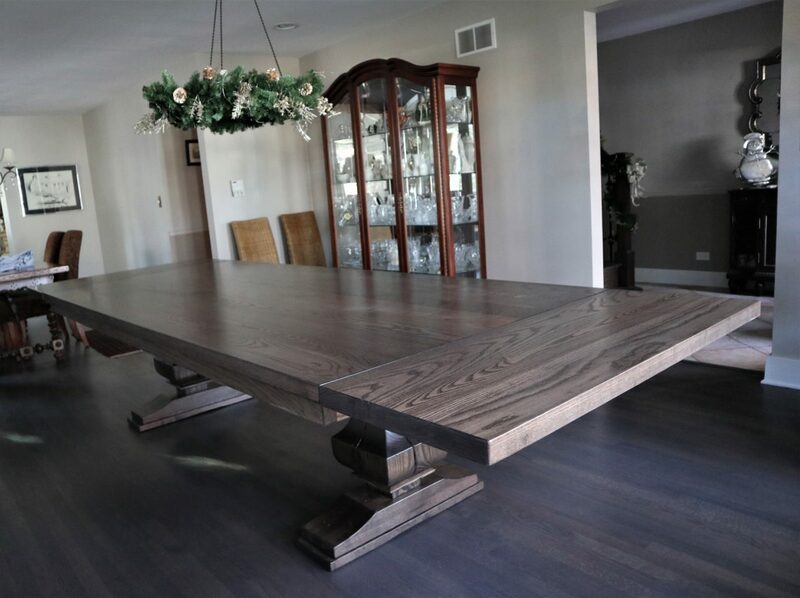 Interested in designing a handcrafted wood table with us? 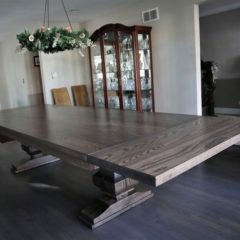 Contact Rustic Elements Furniture today to start planning your furniture!